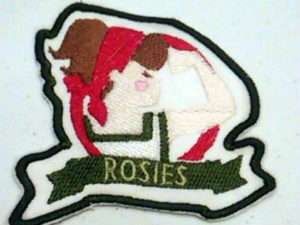 Girl Scouts have the Opportunity to experience Rosies | Flashback Theater Co.
Any young women involved with Girl Scouts of America will have the chance to experience Rosies: The Women who Riveted the Nation at our special Girl Scouts performance on May 12th at Flashback Theater. Girls will learn about the history of Rosies, participate in activities towards badges, complete crafts, and get to see an exclusive private performance of the play. Those who attend will also have the opportunity to receive a special fun patch. The cost to participate is $20 per participant. Don’t miss this opportunity to be a part of something spectacular; women empowering women! Learn more about this opportunity by visiting this link. Register to be a part of this event by visiting this link.